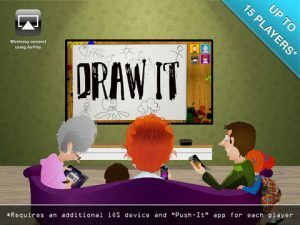 Draw-It, Push- It is an iPad game developed by Redwind Software. 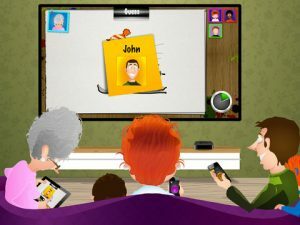 This Pictionary-style party game lets you turn your Apple TV into a hub for gaming with up to 15 of your friends. Here’s where it gets a bit complicated. 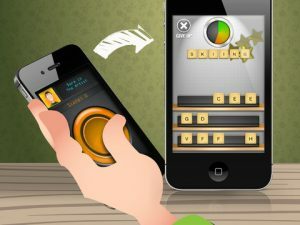 In order to play Draw-It, Push- It, you will also need to download the free, universal app Push-It for iPhone and iPad. Push-It lets you connect to all available Push-It enabled games from Redwind Software. To play Draw-It, Push- It, you will need to have one iOS device for each player, and each device will need to have Push-It installed. 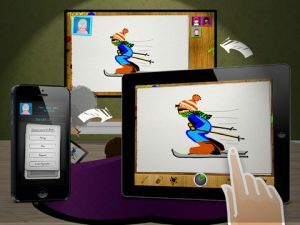 Playing Draw-It, Push-It on your HDTV requires either an Apple TV 2 or newer with AirPlay enabled or a video out connection from your iPad. With about 400 words built-in, and 1000s more to download, there’s a decent amount of replay value in Draw-It, Push-It. If you need to mix things up (or tailor your next Draw-It, Push-It party to the interests of a certain group of your friends), there are in-app purchases you can make to score additional word packs on topics like Movies, Sports, and Places. 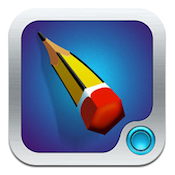 The latest version of Draw-It, Push- It is Version 1.0.5. With this update came some much-needed fixes, including bug fixes. Additionally, connectivity has been improved, and the app now remembers each players pen and color settings. If you want a fun, family-friendly party game, you could do a lot worse than Draw-It, Push-It. Each person will need their own iOS device, however, so bear that in mind. If you need a goofy way to pass the time on Christmas or New Year’s Eve, I could see this being a really cool party game for a big, multi-generational crowd. It’s seriously fun. Draw-It, Push- Itis compatible with iPad 2 Wi-Fi, iPad 2 Wi-Fi + 3G, iPad (3rd generation), iPad Wi-Fi + 4G, iPad (4th generation), iPad Wi-Fi + Cellular (4th generation), iPad mini and iPad mini Wi-Fi + Cellular. Requires iOS 4.3 or later.